The essence of masculinity in all the right places. 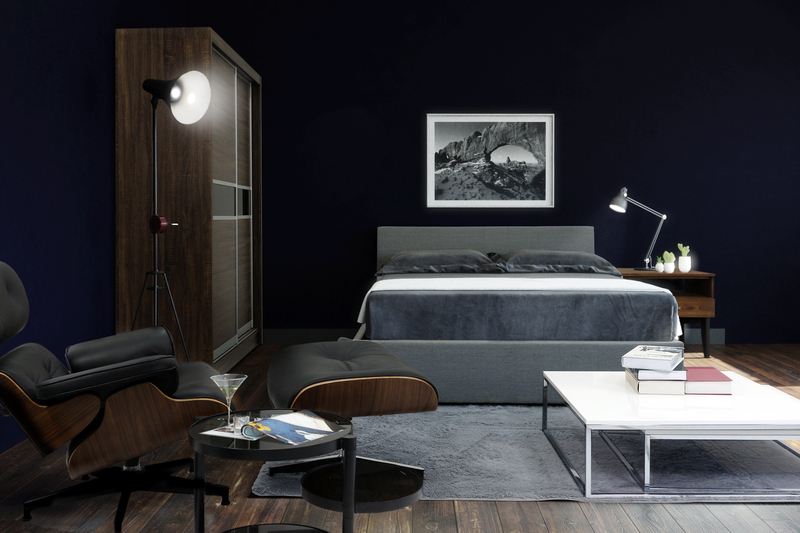 Contrary to a conventional mancave, this bachelor pad is organised, with the bed, wardrobe and side table offering storage options. A sense of stylish moodiness is evoked with the use of clean and sleek lines. 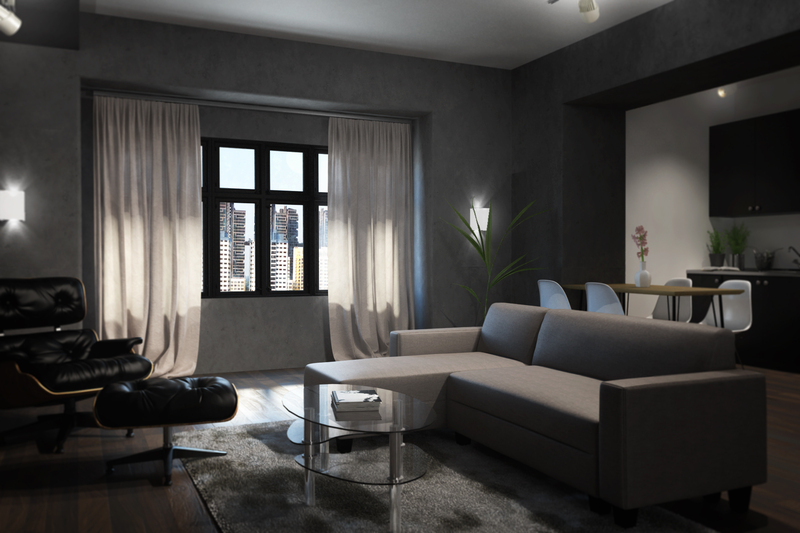 Dark hues lend a masculine allure to the room, complemented with appropriate lighting in certain places. Expressing comfort through intimacy and colours. Have you ever thought about how you could fit your colourful sofa into your living room? 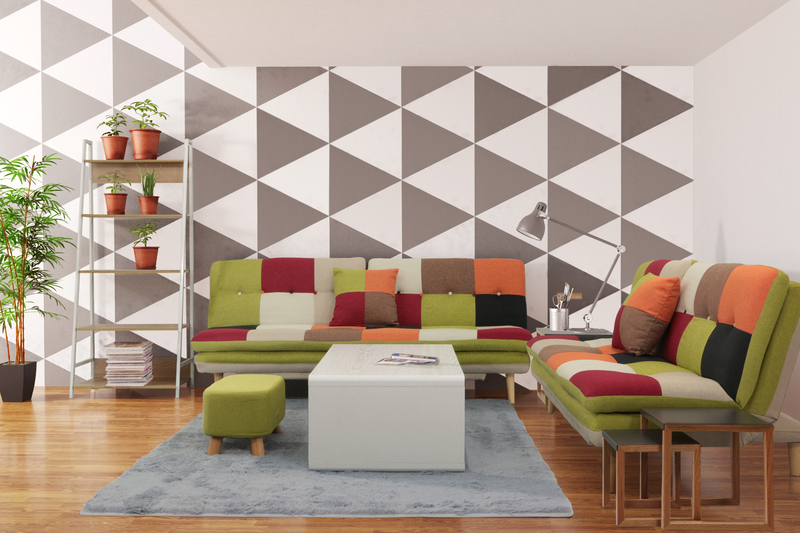 Here’s a wonderful example of the interplay of colours and designs between the stand-out sofa, the patterned walls and the rest of the furniture pieces. Be daring and bring the colours to your home! Neutrality of colours promotes visual balance. There is a sense of neutrality in this room, with the neutral-coloured walls visually balancing the monochrome scheme of the furniture pieces. It is notable how there are a few furniture pieces that effortlessly stand-out amidst the colour palette. 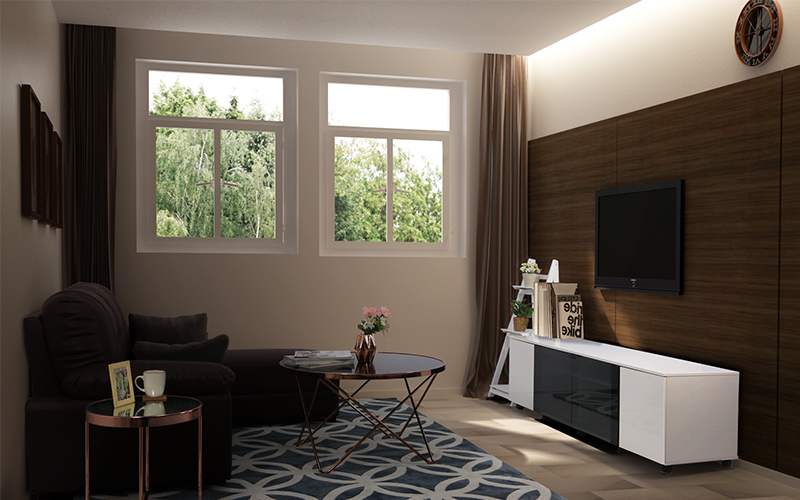 Subtle interplay of neutral colours with furniture pieces. 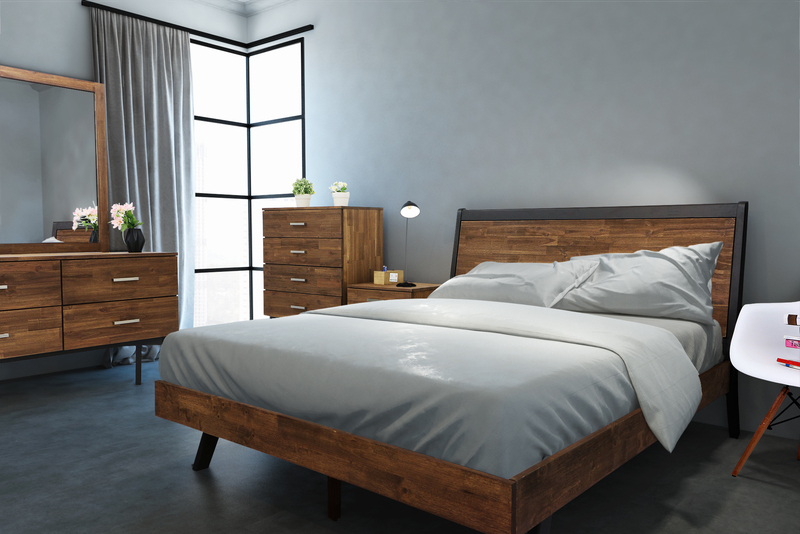 The stars of the room are the Selena furniture sets, with its raw and woody textures making a bold statement in the room. The neutral-toned walls allow the pieces to shine, giving a warm yet stylish spin to the interior. A classic composition that gives the quirk for your space. The Bellatrix uses complementing colours of red and blue to balance the visual focus, and bringing a sense of cohesiveness in the room. The bold characters of each furniture are matched with the neutral, dark tones of the room to tie the whole look together. A timeless composition with layered hues for the perfect silent corner. The Contemporary Reading Savile is a classic setting; with iconic and timeless furniture pieces placed together, as though you are walking through time itself. Each furniture piece creates its own atmospheric bubble that engulfs the user, and matched with the contrasting colour scheme, makes the room a perfect place to read. Conflicting yet unifying masculine public interior. The Plain Joe Den proves that with the correct selection, a masculine room need not be chunky and bold. Nor does it have to be decorated with bulky pieces. The harmony of the room is preserved with a complementing colour scheme and a defined composition. Dynamically creating depth and using iconic shapes for a comfortable space that flows together. The black-on-white with some wooden elements is a popular composition these days. The Deep Orion unifies the minimalistic colours while adding warmth to the space at the same time. This appeals to many followers of this trend as it stands the test of time. Milkyway reflects the white-on-white colour scheme, infusing nature's iconic colour into the scheme. If your love simple and clean lines, this might be what you will be looking for. Irregularity of form and color, yet sophisticated and strong. Ebony allows the resident to deviate from the slick harsh tones of the city and seek comfort in the warmth confines of the house. This underrated design methodology creates a big impact in the spatial ambience, something that many long for in their homes. Simplistic pieces that welcome you home every day. Back From School uses simple hues that layer together effortlessly. With a busy timeline, the bedroom can become bombarded with a varied number of scenarios within 24 hours. 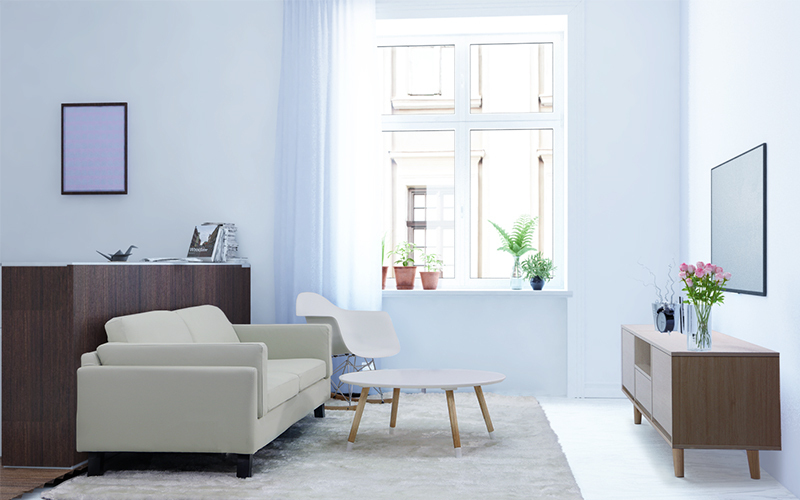 This semi-monochromatic palette allows the simplicity of the room to converge with everyday rituals. This reduces the possibility of a visual conflict and eases the stress of a cluttered space. A room can be easily overdesigned and seem heavy to our visual senses. In Manifesting De Wolfe, we borrow inspiration from Elsie de Wolfe, the lady who saw simplicity as the way to beauty and good taste. 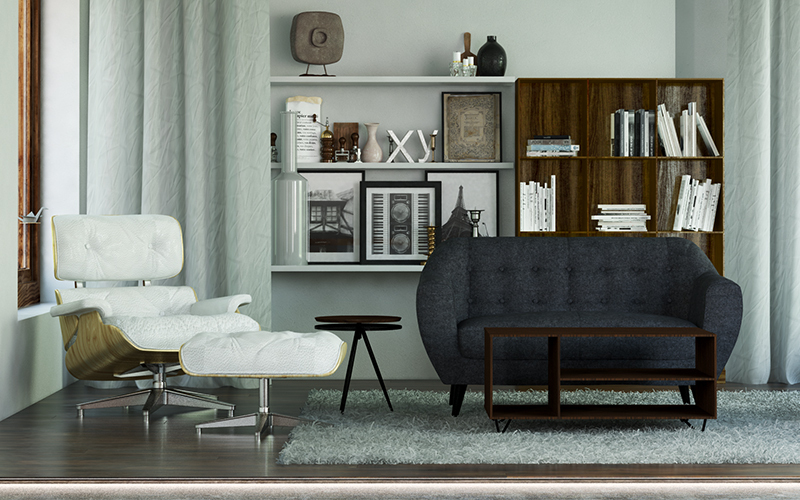 Holding back from over-furnishing the space and choosing a bold yet cohesive color scheme, the room unfolds the interesting personality of the user yet maintains its poise and maturity. The linearity of objects portrays a progression of colors, further unifying them through lights. 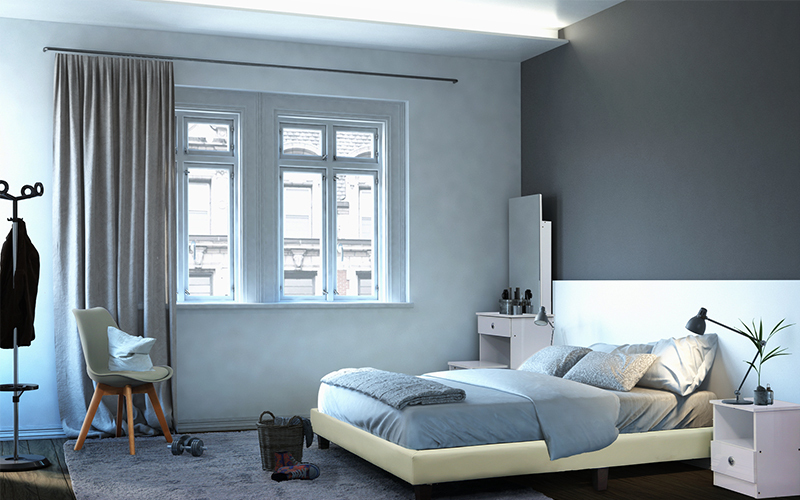 The High Lights has a different approach whereby an integration of living room and bedrooms become one. Ambiance lights plays an integral part of the room, which reveals the over-the-top finishing of each walls, accentuating the style of the room. Capturing sunlight indefinitely through the progression of time. 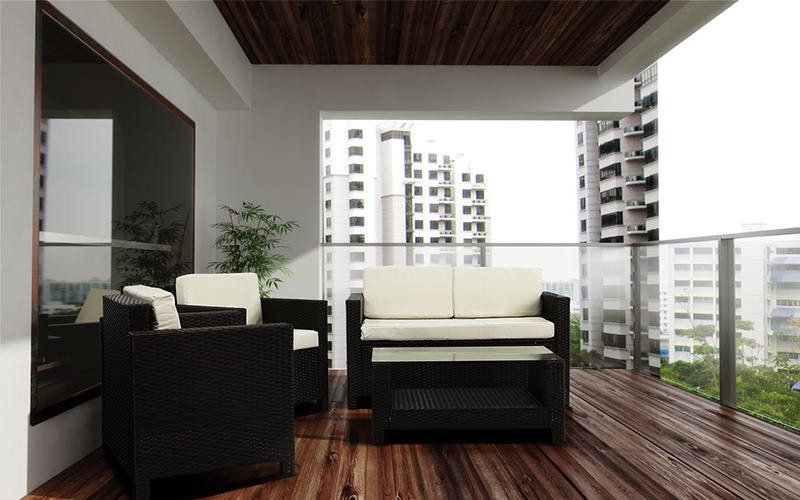 Reminiscing the kampong days, many would want to have a lazy Saturday afternoon in their balcony. This familiar scene comes with a modern touch of Asian-inspired pieces that welcome you to sit back and relax. The textures of the seating will take you back to the past, fully immersing your senses in an ambience far from the complexities of urban life. Portraying childhood memories through thematic layering of elements within the room. 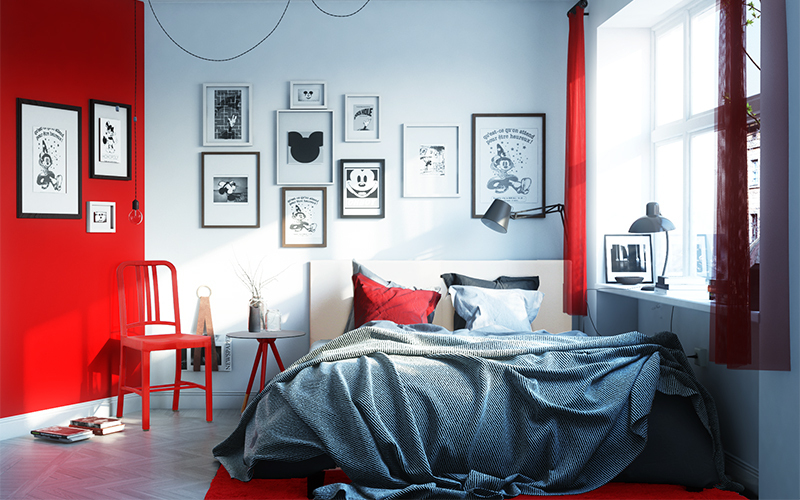 Red is often a colour many would want to avoid using in the room due to its bold and attention seeking nature. However, Hey Mickey approaches red whimsically, playing and tossing colours around the room, yet preventing the colour from taking control. The interplay of light and materials. The feature wall stands out with its bright light, akin to a sunset. 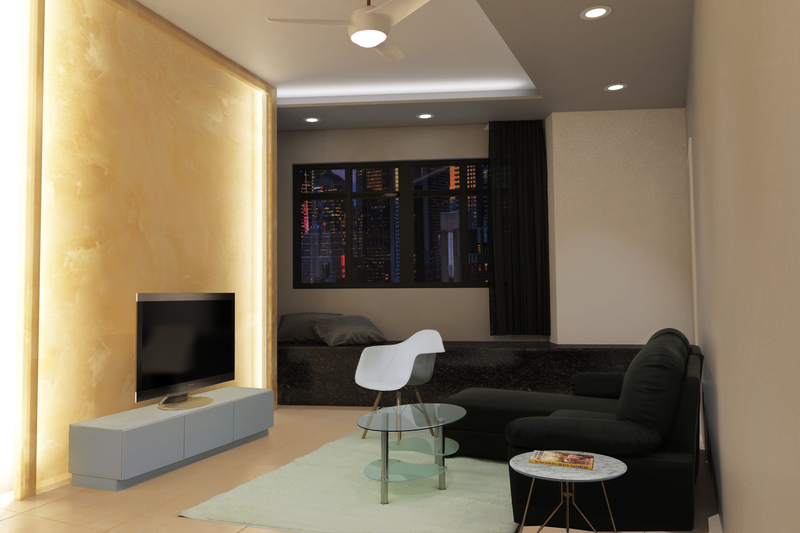 To give a good contrast to this feature wall, furniture pieces in simple forms and muted colours are chosen. Clean-cut and simple, the Haagen cuts an unassuming figure in your bedroom. A series of slats inserted across a mild steel frame form a flexible, trustworthy support for your mattress. Supple PU leather wraps this entire creation, neatly sewn in place without a single staple in sight. Almost more modern art than it is carpet, the Bloopen Carpet delivers an aura of peace with clean, flowing lines inspired by the serenity of water. 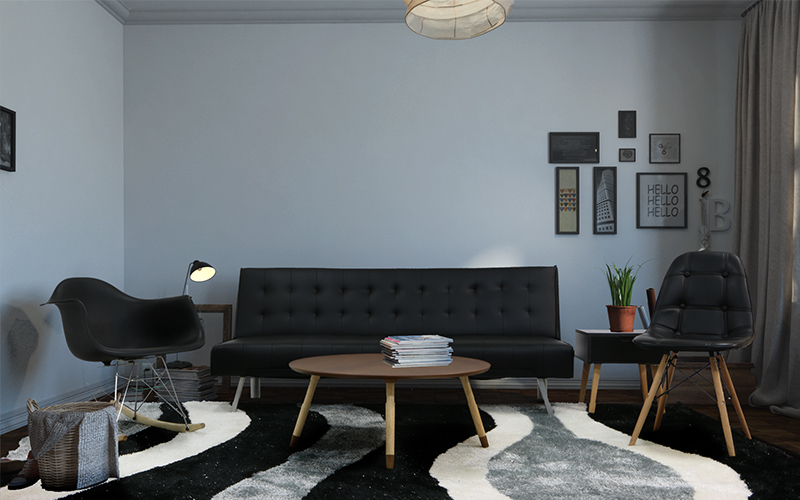 Incorporating a chic black, white and gray colour scheme into a design that exudes a sense of calm, this is a fantastic opportunity to bring a piece of modern art into your living room or workspace. 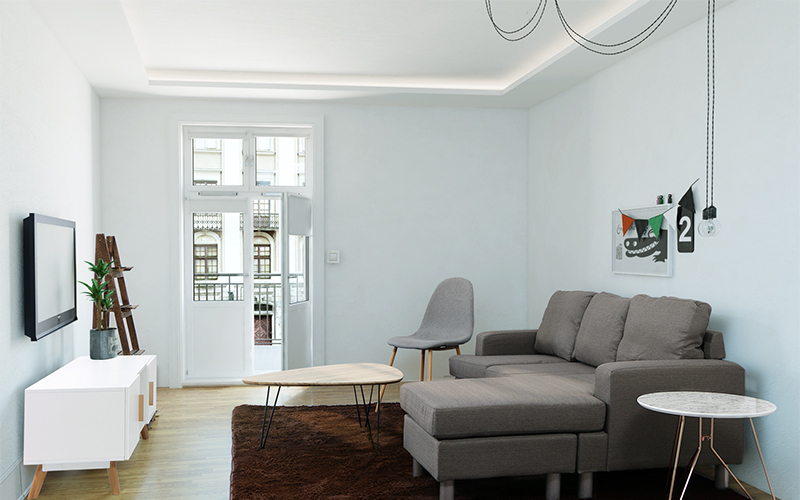 Remaining professional while lending itself to minimalist design schemes, the Bloopen is a silent contender that can take a beating. With its industrial-grade heavy duty rubber base mat, 30mm thick glitter thread pile and secure rooting, expect a flooring centrepiece that not only feels soft under-foot, but is built to last the flowing rivers of time. Transform your living space with this beautiful art-deco inspired carpet today. 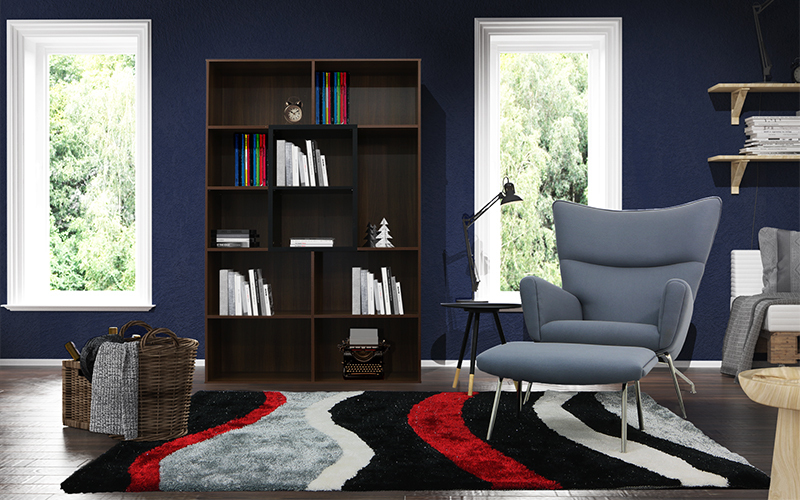 For a classic addition to any home, the Navy Red Replica Designer Chair ups the ante in the chic department. Taking its cues from the minimalist trends currently sweeping the market, it keeps upbeat with its simple shape and acute corners. This versatile piece of designer furniture is perfect for use in the living room, as a dining chair or even a study chair. Make your statement with this baby, and remember, that fortune also favours the bold.